Massage oils, lotions, creams and gels enhance the massage experience for the client. 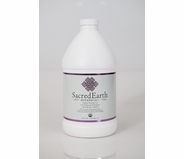 Sacred Earth Botanicals offers an excellent selection of massage lubricants. MassageTools understands that massage oils, lotions and creams come into direct contact with both massage therapists' and clients' skin. Because some individuals have sensitivities to certain ingredients, it's always a good idea to go organic when selecting massage lubricants. Many clients also have extreme sensitivity to smell, which is why scented massage lubricants are often not recommended. 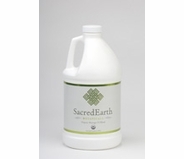 Sacred Earth Botanicals - Organic Massage Lotion - Gallon 128 oz. Sacred Earth Botanicals - Massage Warming Lotion - 8 oz. 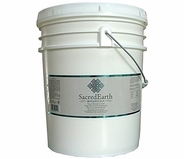 Sacred Earth Botanicals - Organic Massage Gel - Gallon 128 oz. 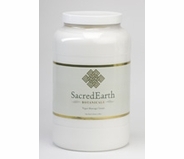 Sacred Earth Botanicals - Organic Massage Gel - Half Gallon 64 oz. At MassageTools, you'll find a wonderful collection of organic massage creams and oils that are made specifically for use in professional massage therapy settings. Each one has been developed with the health of both the client and the environment in mind. More and more people are going organic with the products put on and in their bodies. Sacred Earth Massage Oils, Lotions and Gels are made with only certified organic ingredients, so they are an attractive choice for health-conscious clients. 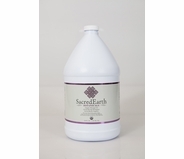 Using Sacred Earth massage lubricants can even be offered as an upgraded service at massage practices. The organic massage lotions, oils and creams at MassageTools come from Sacred Earth Botanicals because we appreciate their commitment to creating healthy, effective products. This environmentally conscious practice has made Sacred Earth Botanicals a top pick among massage therapists. 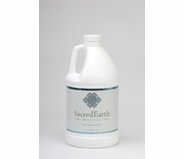 Even the packaging for Sacred Earth massage lubricants is made with environmentally friendly packaging. 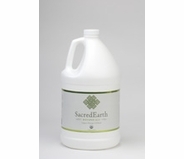 Sacred Earth Botanicals is the greener choice for your massage practice. 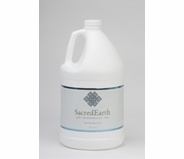 MassageTools also offers different size ranges for Sacred Earth Massage Oils, Lotions and Gels. Choose from gallon or half gallon containers. This size massage lubricant is ideal for a salon or spa. However, we also offer smaller size massage lubricants that are perfect for massage therapists on the go.